Rising Star Studios is a premiere creator, publisher, and distributor of quality content with a transformational message. What began with a mission to make high-end children's entertainment that builds strong character, has matured and expanded into reality television, children's books, autobiographies, comics, and educational videos for the classroom. 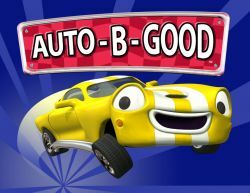 Auto-B-Good is a five-time Emmy award winning animated show about a group of cars from the City of Auto. Watch as they learn character lessons in kindness, responsibility, respect, and honesty. Join EJ, Izzi, Johnny, Cali, and the rest of the gang of cars as they learn important life lessons in turbo-charged, fast paced episodes that will engage children. This channel also features the animated cartoon show, Monster Truck Adventures. Join Meteor and the Mighty Monster Trucks as they roar over jumps and splash through gunk while learning scripture-based lessons in character traits like responsibility, obedience, humility, forgiveness and much more.